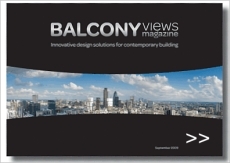 We are Balcony Systems Solutions Limited trading as Balconette, registered in England under company registration no. 06937600. Our registered office is: Unit 6 Systems House, Eastbourne Road, Blindley Heath, RH7 6JP. We will refer to ourselves as BALCONETTE in this policy. The data we collect may be personal data and may include your name, email address, address, telephone numbers and other contact details. BALCONETTE collects the details you provide by using different forms on our websites such as, but not limited to, our brochure request form, quote saving and request form, review submittal, exhibition ticket requests, competition entries and when you register to place an order on our websites as well as by offline methods such as, but not limited to, telephone and exhibitions. We do not store payment information such as credit cards, in our database. When you pay online, your card transaction is processed directly online by a secure server connection, or via PAYPAL, whichever you select as an online payment option. We monitor customer traffic patterns and site use, using various third-party services, to better understand visitor behaviour patterns. This data is used to develop the user experience on our website. All user data, gained this way is anonymised, meaning the data cannot be used to identify an individual. All third-party services that Balconette use provide assurance of being GDPR compliant. The Website is not intended for or targeted at children under 16, and we do not knowingly or intentionally collect information about children under 16 If you believe that we have collected information about a child under 16, please contact us at privacy@balconette.co.uk, so that we may delete the information. We will use your information to communicate with you and/or for the delivery of your order. We may use your information to send you offers and news about BALCONETTE’s products. We may contact you by post, email, telephone or fax for these purposes. We like to receive feedback and testimonials to help us improve our products and service. From time to time, we may contact you by post, email, telephone or fax to ask your opinions. If required, Balconette may have to disclose your information to comply with an applicable law or valid legal process. We use sub-contractors to maintain certain aspects of the online marketing including the website. Where these contractors need access to your information, Balconette seeks assurance that they comply with the GDPR, that your information will be kept confidential and that they will not use your information except to fulfil their obligations to Balconette. We never sell or pass your personal data to anyone else. The buying process for our product can be very long, because planning ahead, in some cases as much as several years, plays an integral part of the overall journey where funding, planning permission and various other aspects can greatly impact time scales. As part of this journey we will continue to communicate with you through both online and offline channels. You can at any time unsubscribe using any of the methods identified above. As part of competition (T’s&C’s for competitions here), testimonial or review entries we may advertise your name, town and images, pictures and videos received from you as part of these entries. The contents of images, pictures or videos sent to us may be published or advertised to other users and on our websites, promotional, advertorial or other materials. We will NOT disclose any contact information such as email, telephone or other contact information. Whilst you do not need to allow your browser to accept cookies in order to browse our web site, you must have cookies enabled if you wish to shop online. Most browsers allow you to turn off the cookie function. If you want to know how to do this please look at the help menu on your browser. As described above this will restrict the online BALCONETTE services you can use. Most content on the Internet – from the latest political news to up-to-the-minute sports scores and stock quotes – is free to consumers. Why? Because of effective Internet advertising. When you browse our website we use and have implemented the “Google remarketing” tool, and as part of this we allow Google to collect data, in the form of “cookies” about your visit to our website for the purpose of using this information and being able to display relevant advertisements and other information on the Google network and other Google sources such as, but not limited to, the Gmail. We do not provide Google with any of your personal information other than the above. When visiting our website, we have allowed Facebook to implement cookies for the purpose of remarketing. This means we can place more relevant advertisements through Facebook, but although the ads you see are related to your website visit they are anonymised, as is the analysis of data usage. We don’t have access to data that would enable us to identify an individual seeing our adverts in this way. You have a right to access the personal data that is held about you. To obtain a copy of the personal information BALCONETTE holds about you, please write to us at the following address: Balconette Ltd, Unit 6, Systems House, Eastbourne Road, Blindley Heath, Lingfield, Surrey, RH7 6JP. A fee may be charged to supply this.